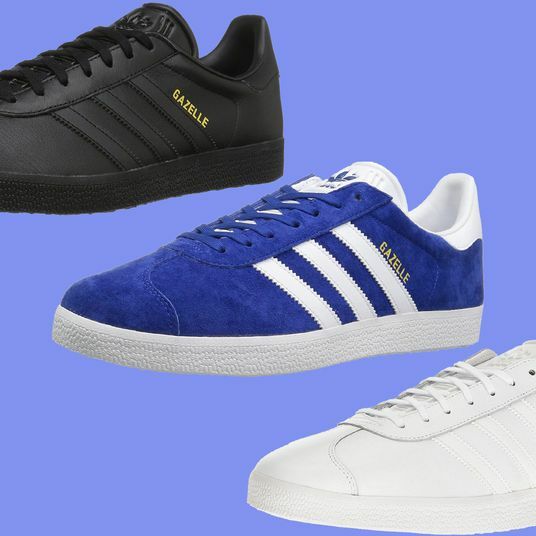 Wearing sneakers every day (even to work) is normal for many guys by now. 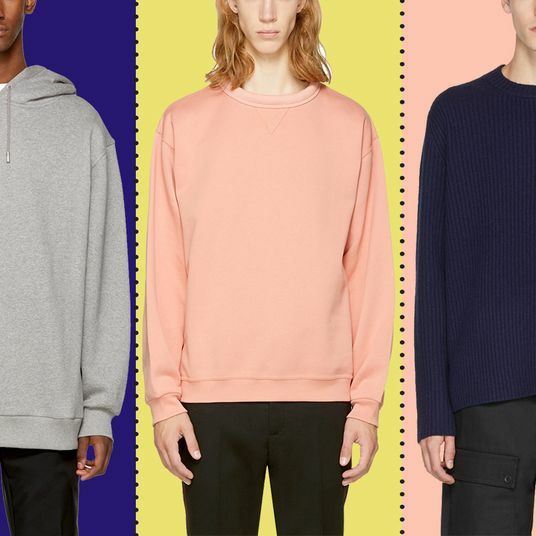 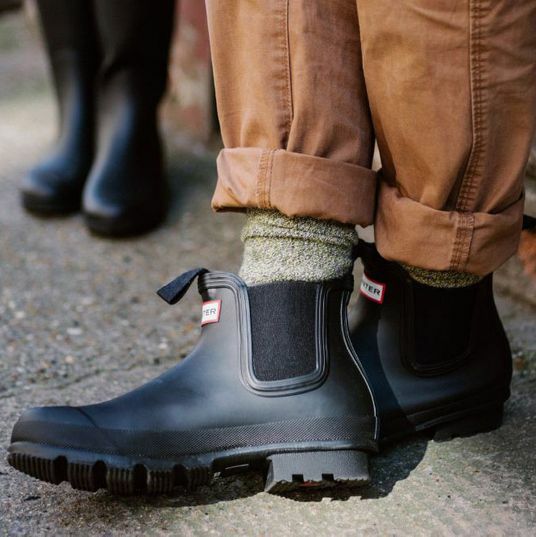 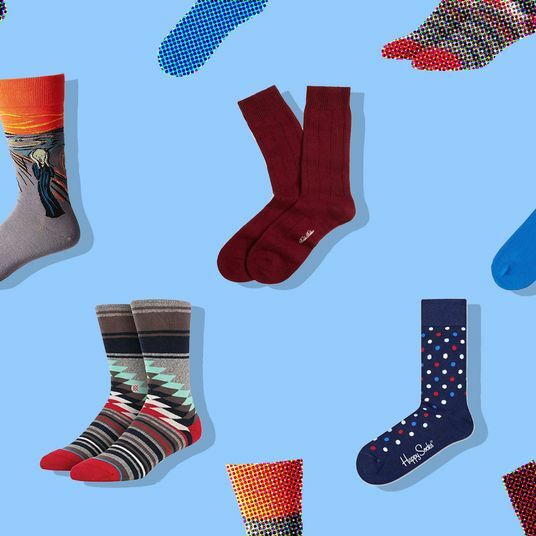 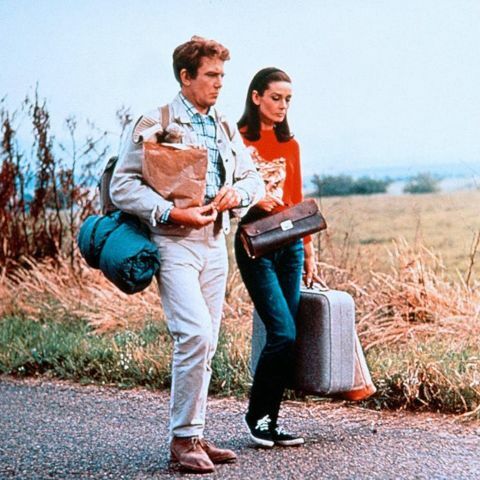 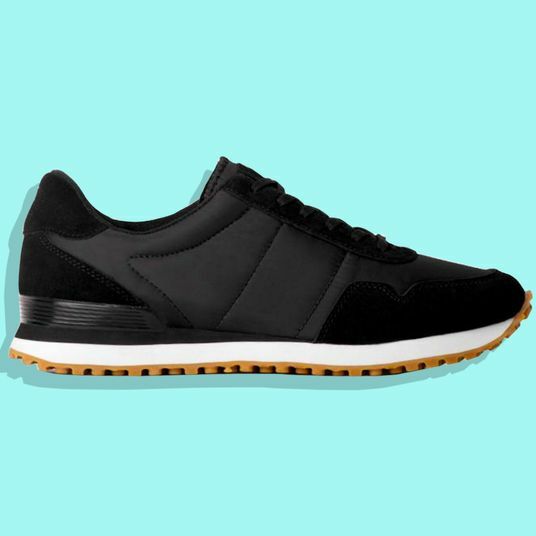 But not every guy is ready or willing to dip into the latest sneaker trends: fashionably ugly silhouettes, chunky soles and lots of color and pattern mixing. 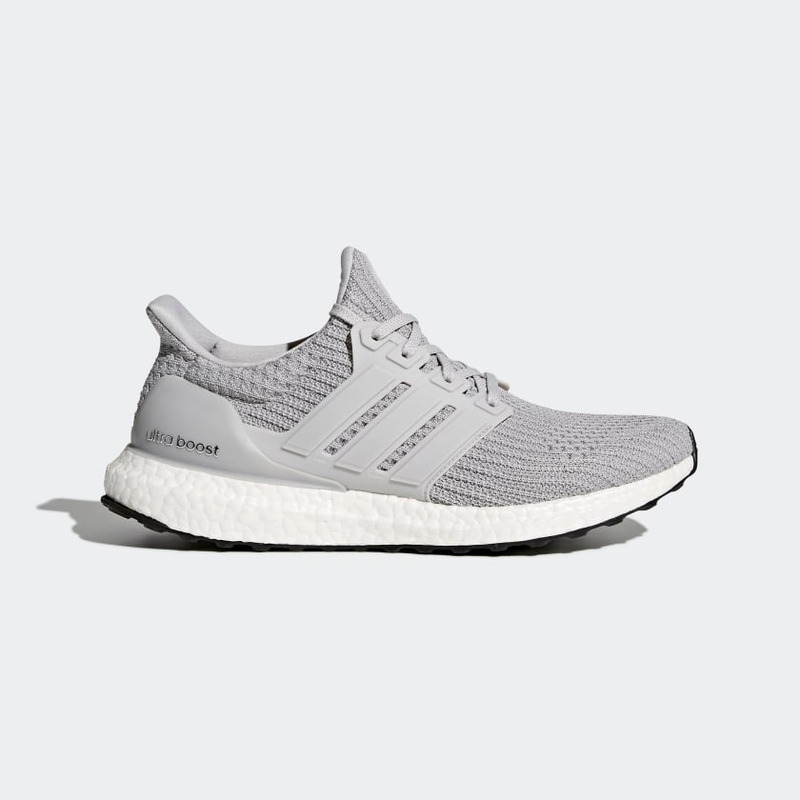 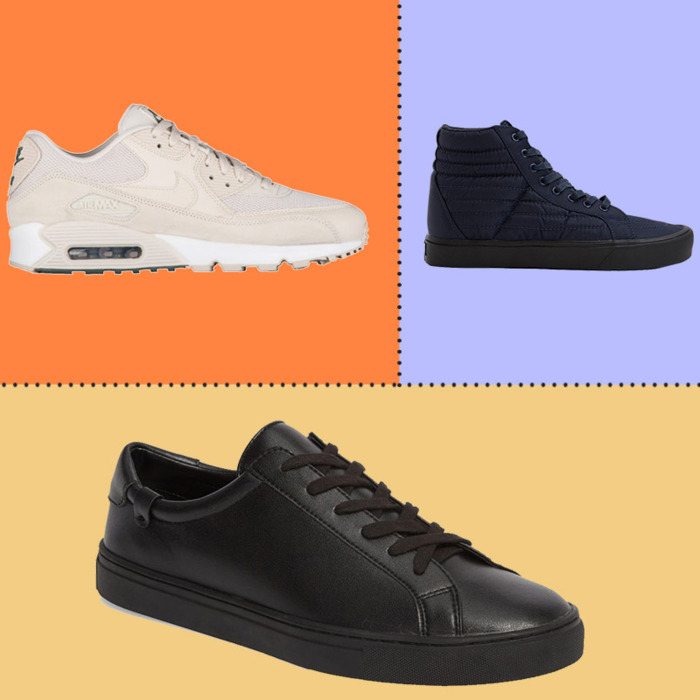 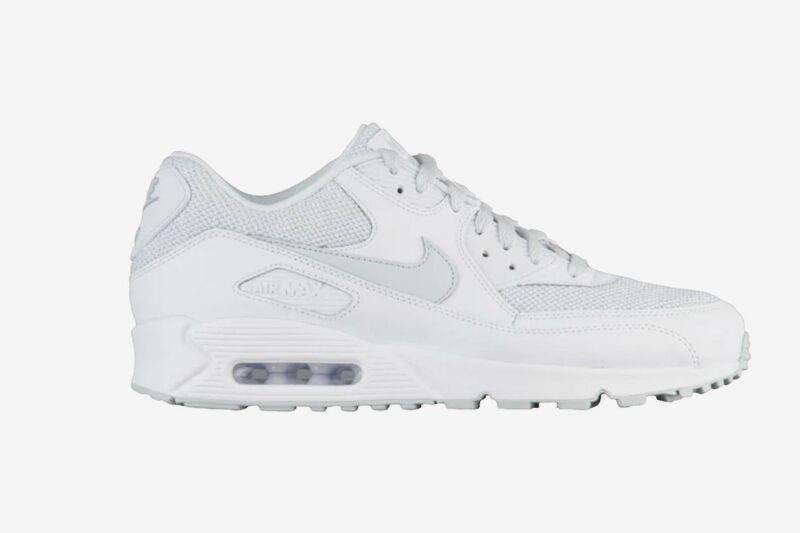 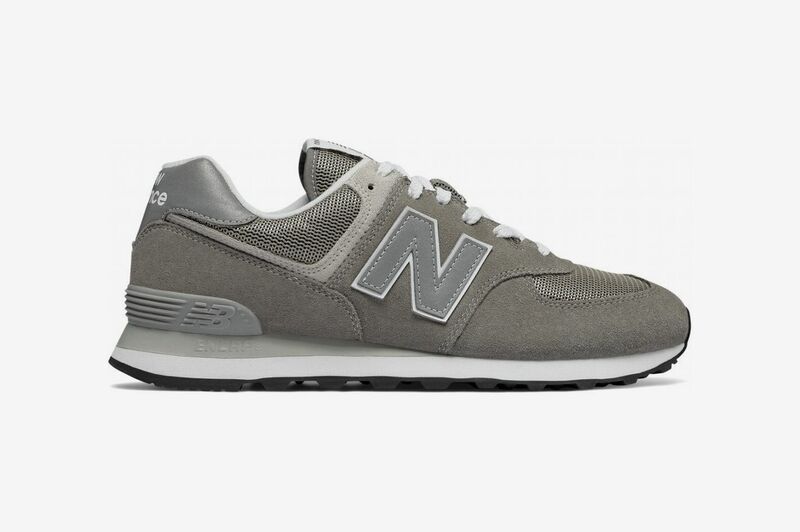 Monochrome sneakers, however (those with matching soles as well as those with classic white, black, or gum soles), go with everything you already own, making getting dressed everyday quick and easy. 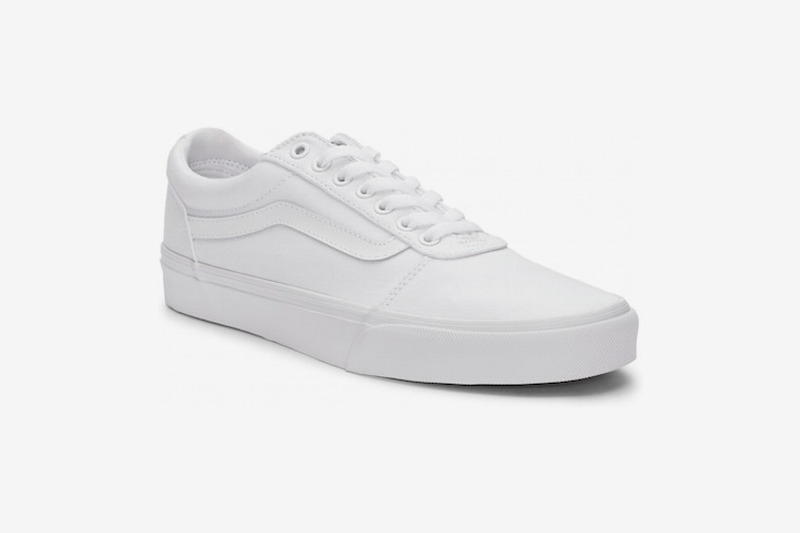 But because they’re so minimal — like a simple white T-shirt or pair of chinos — the design has to be on point. 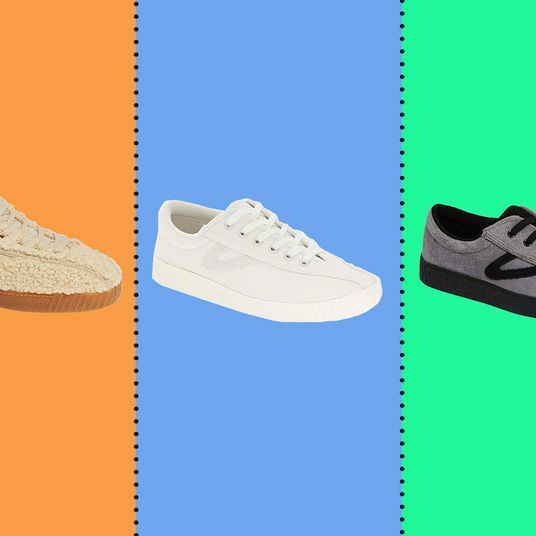 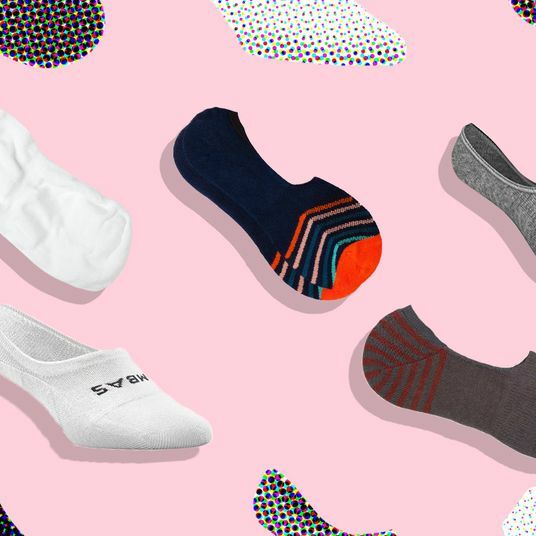 That’s why we talked to a couple stylish experts about their favorite monochromatic shoes (and added a few of our own favorites). 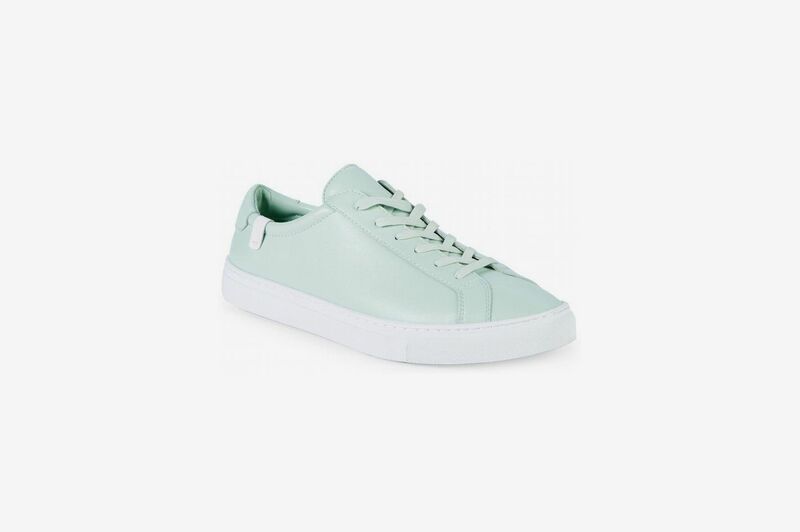 For something a little sleeker these pale aqua leather low tops do the job of a traditional lace up derby shoe just much lighter and more comfortable. 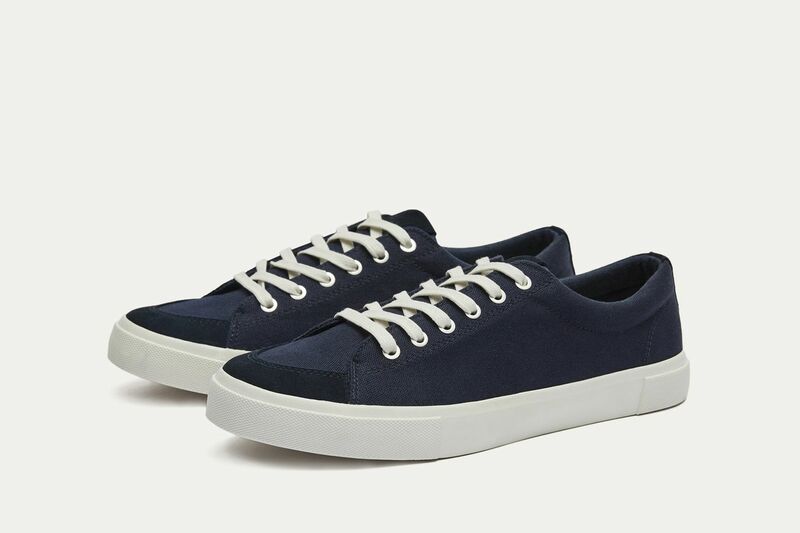 For something that walks the line between a sleek dress sneaker, a nostalgic nod to the ’90s, and a chunky-soled pair of fashion kicks, these from Eytys are a great bet. 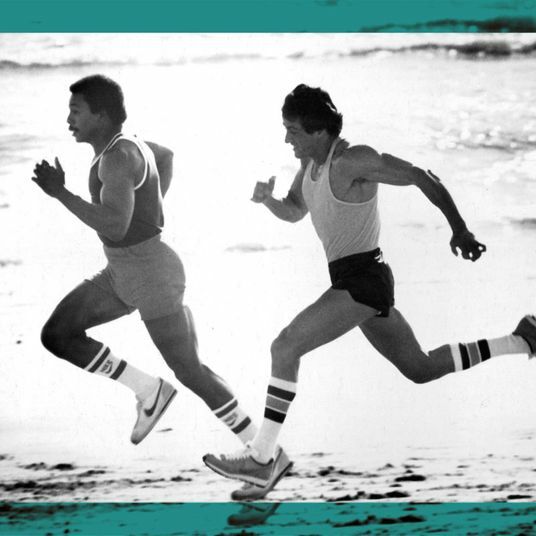 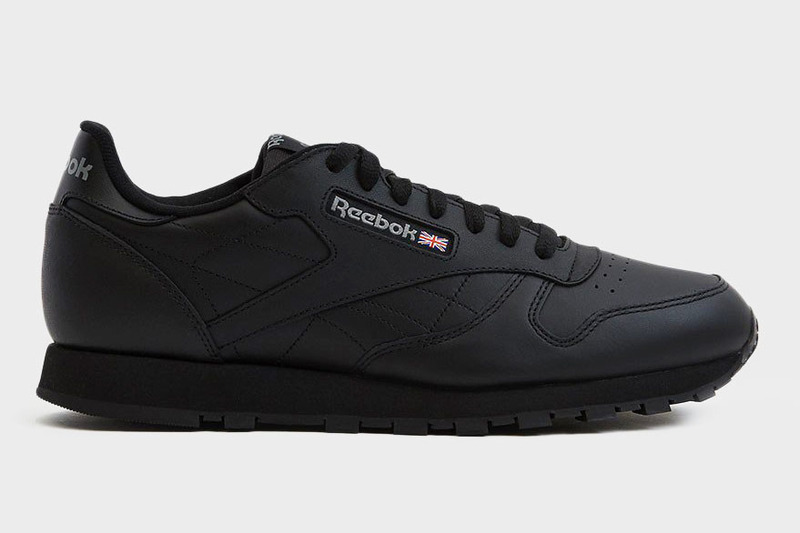 For something a little less chunky and less expensive too, pick up a pair of Reebok classics. 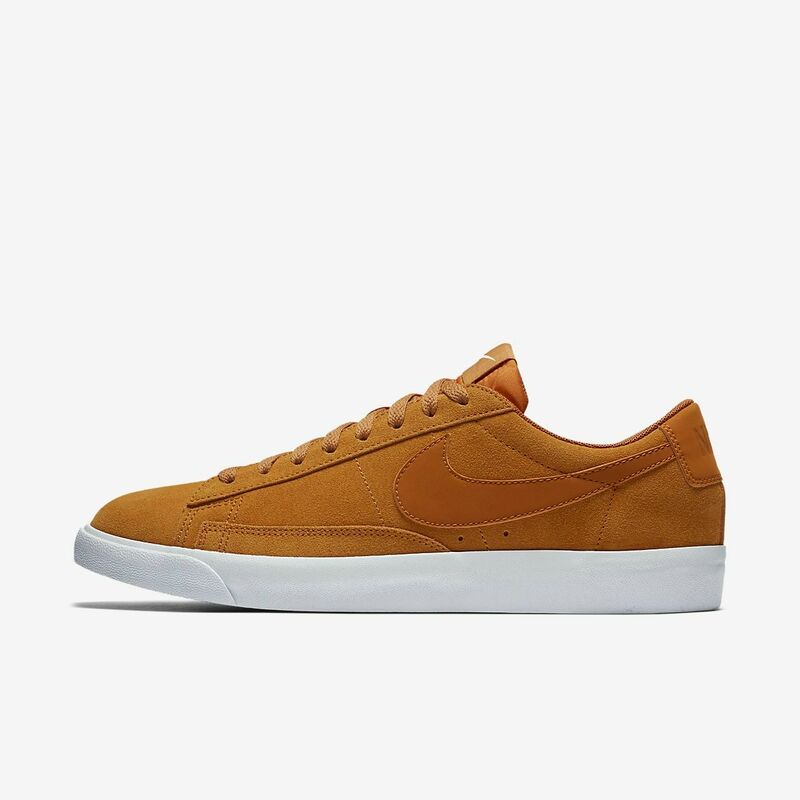 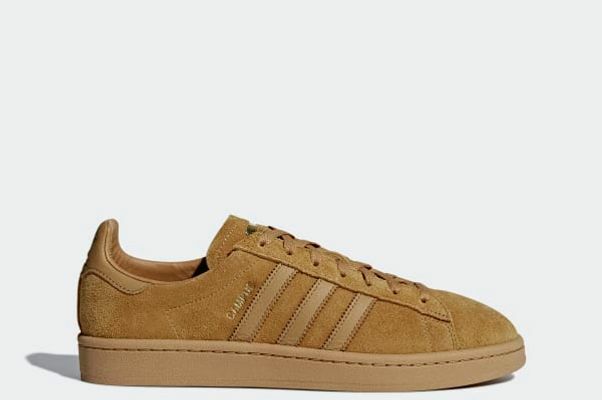 For diehard Nike fans who are more used to wearing basketball-inspired shoes than soccer versions, this pair of Blazer Lows in ochre brown are it. 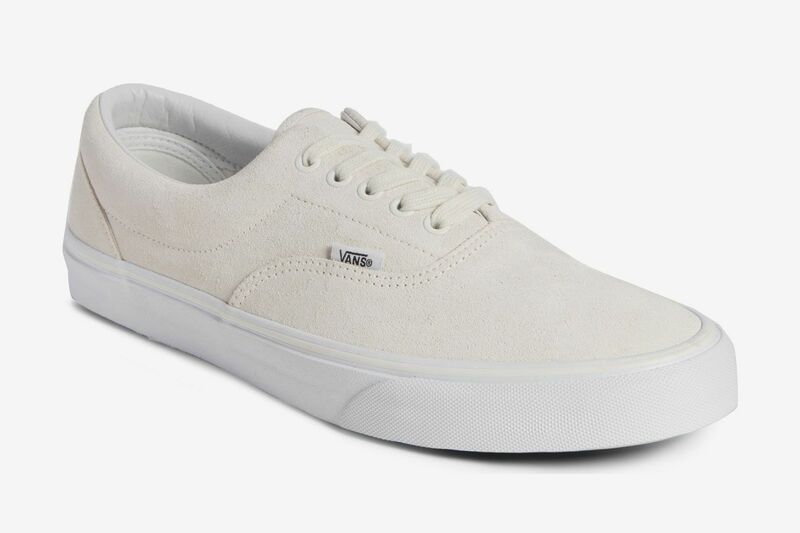 One way to make monochrome dressing more interesting is by adding texture and this pair of Sk8-His have plenty of it. 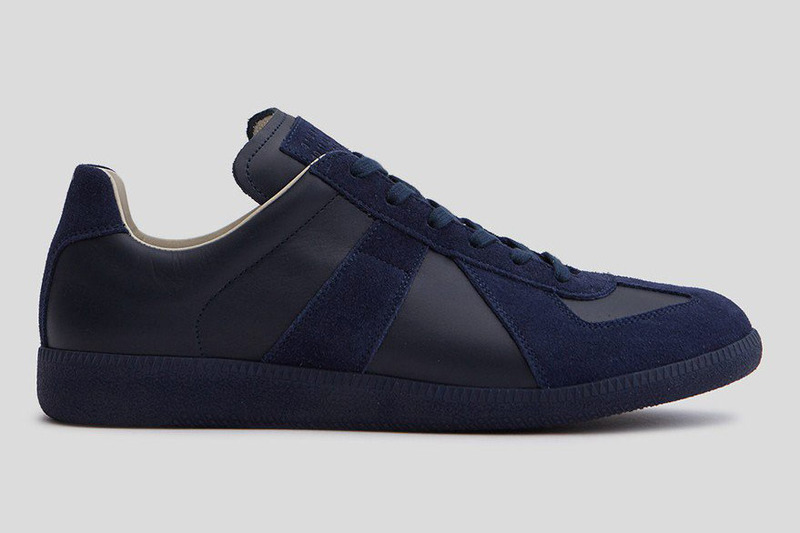 If your closet is full of rich blues and indigos these leather and suede low tops from French brand Maison Margiela will fit right in — and add a touch of luxe. 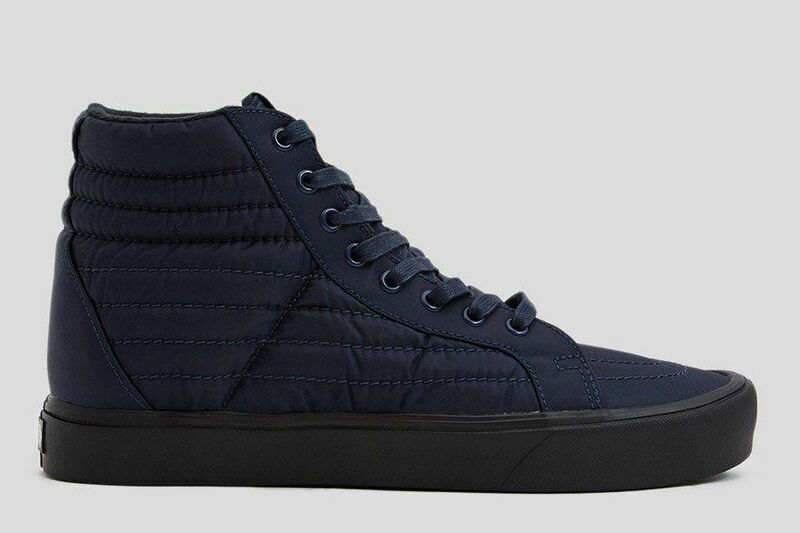 But if you tend to wear sneakers into the ground fast, give these inky blue New Republics a try. 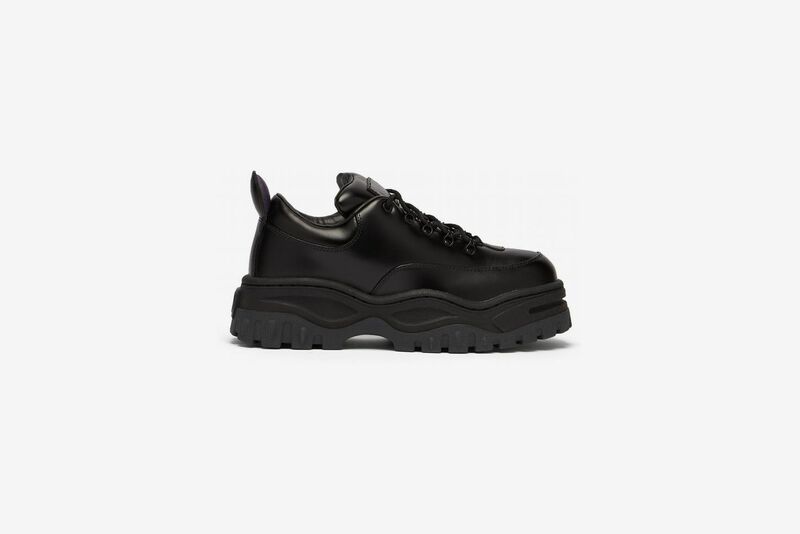 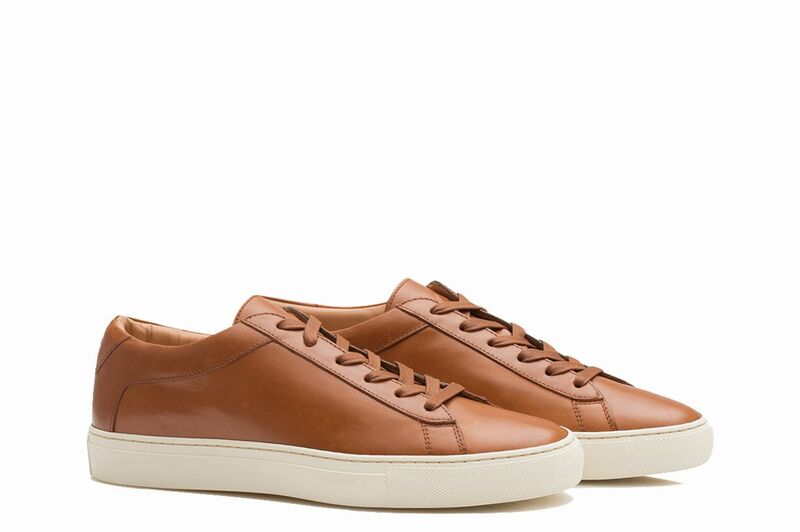 Swedish sneaker brand Axel Arigato is injecting some Scandinavian design sense into the sneaker world with their minimal leather silhouettes available in a whole host of perfect-for-wearing-with-a-suit menswear colors. 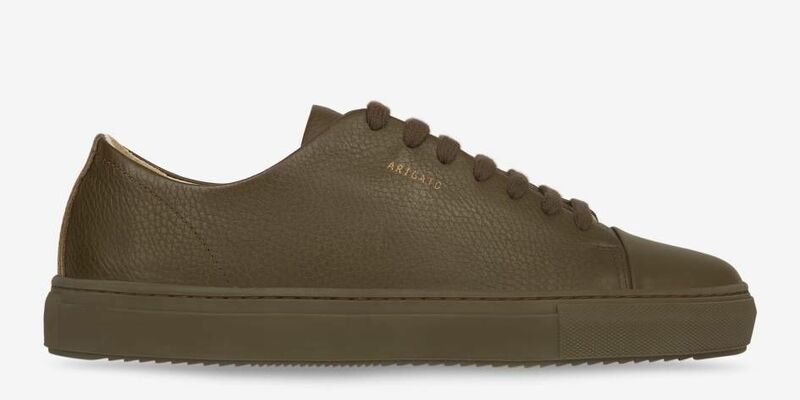 These in olive drab will ensure you never show up to the party in the same kicks as your friends. 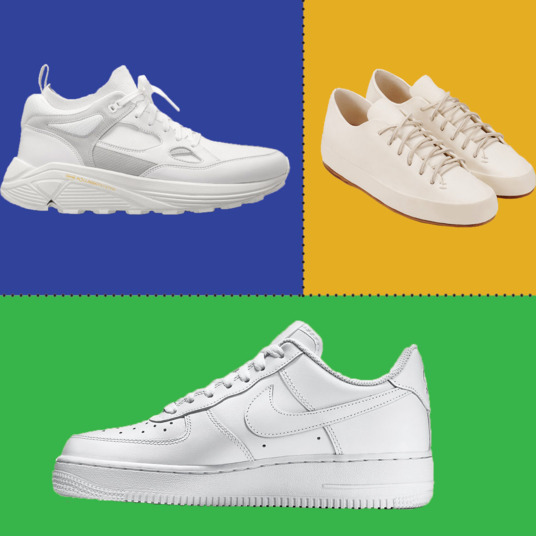 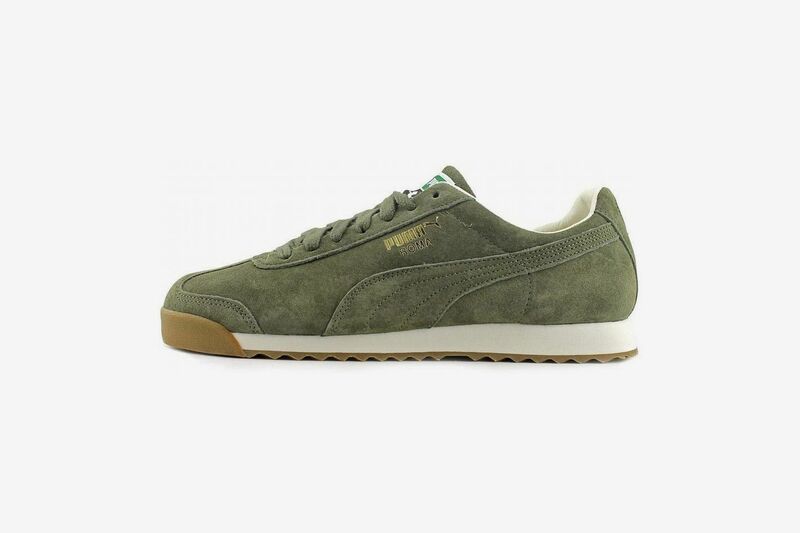 Green may not be your first thought when it comes to picking out new kicks, but don’t forget the color is considered a neutral as long as it’s on the olive rather than the kelly side of the spectrum — meaning it goes with most everything you own. 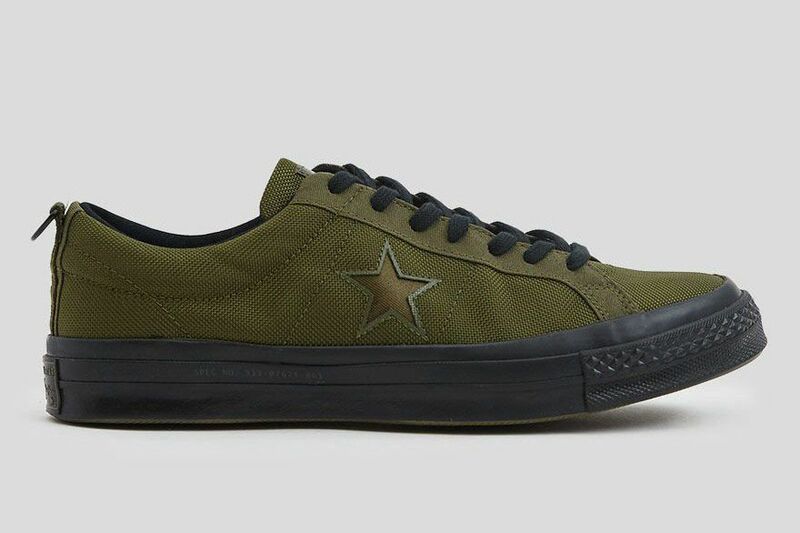 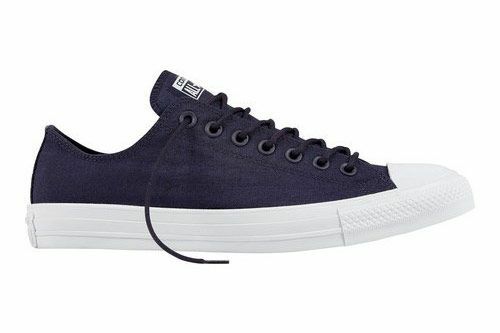 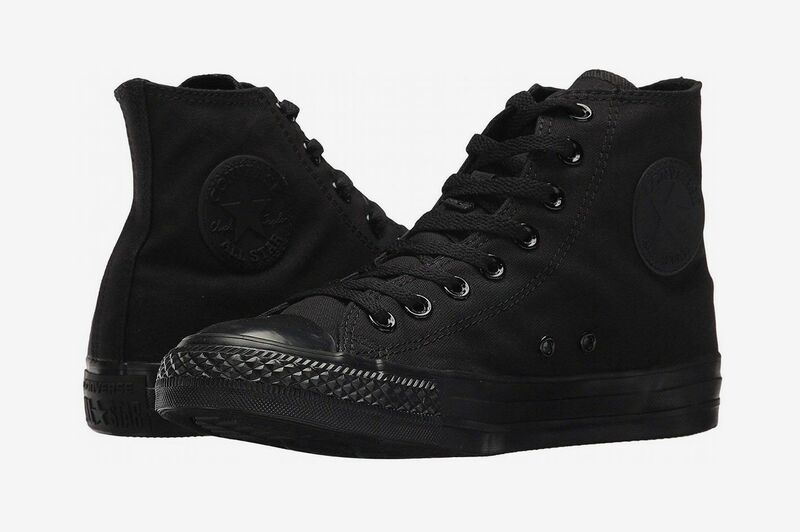 So much of fashion is inspired by military-issue designs and this collaboration shoe from Converse and Carhartt WIP is no exception. 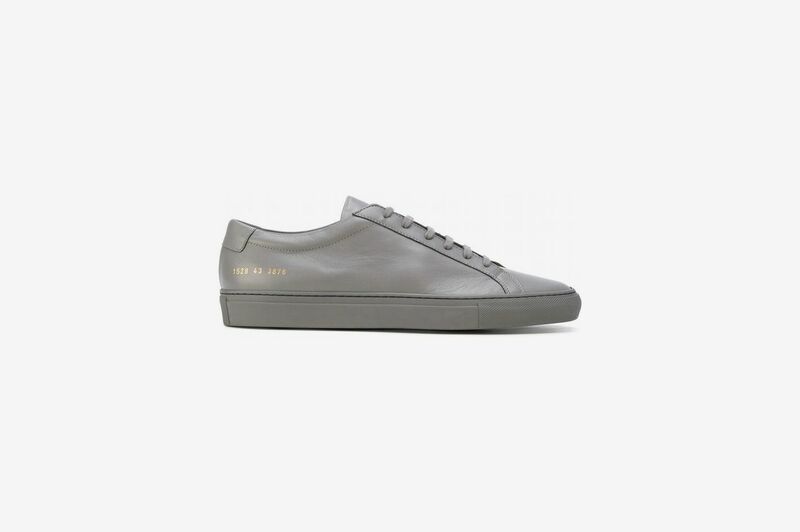 According to Woolf, you cannot go wrong with Stan Smiths. 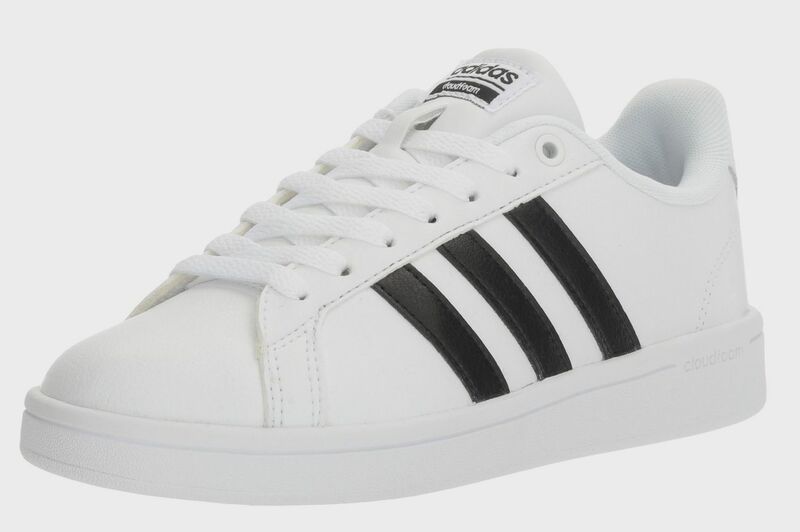 “Stan Smiths have a hint of green, but I still think they count. 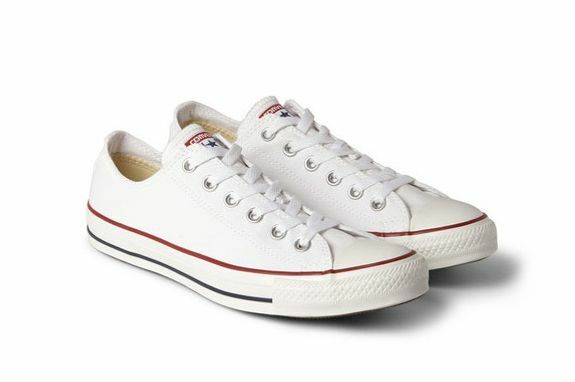 Plus they’re pretty unimpeachable style wise.” The classic version comes with a touch of green on the back, but we prefer these in all-white. 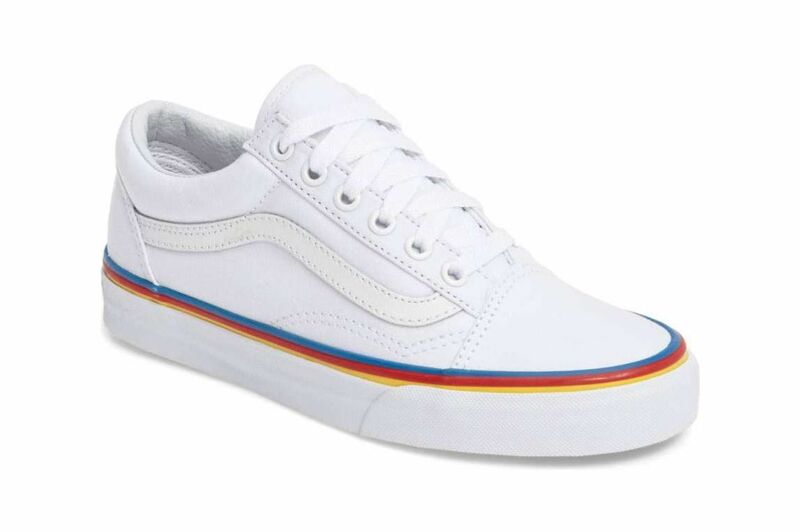 Vans Old Skool sneakers probably already grace the feet of every man and woman you know — for good reason. 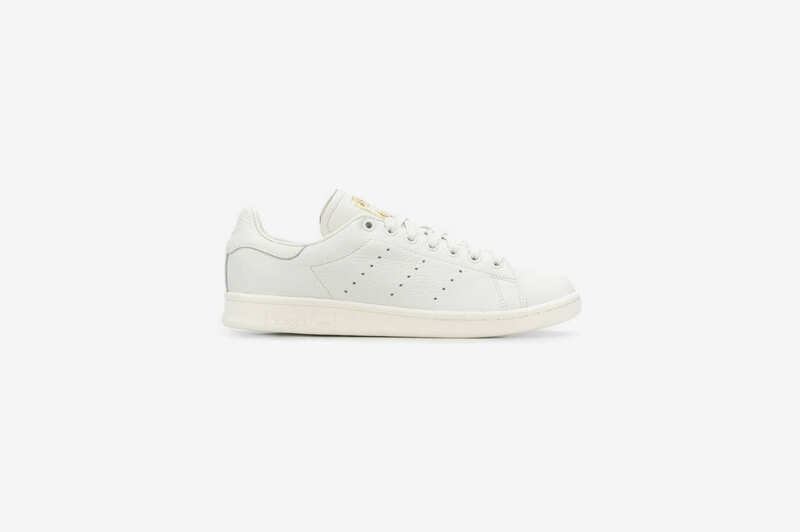 But the shoe that GQ declared the next Stan Smith is far from being overhyped, especially when you wear it in all white.